JetBlue will launch flights from New York and Boston to London in 2021 using long-range Airbus A321 jets, expected to sport private business class suites. Although the airline hasn't yet confirmed which London airport it will serve, its UK playbook will rely not only on the fuel-efficient Airbus A321LR jets, but also a "reimagined, transatlantic version" of its signature Mint 'premium' business class, with direct aisle access expected from every seat, with a sliding privacy door for each passenger. 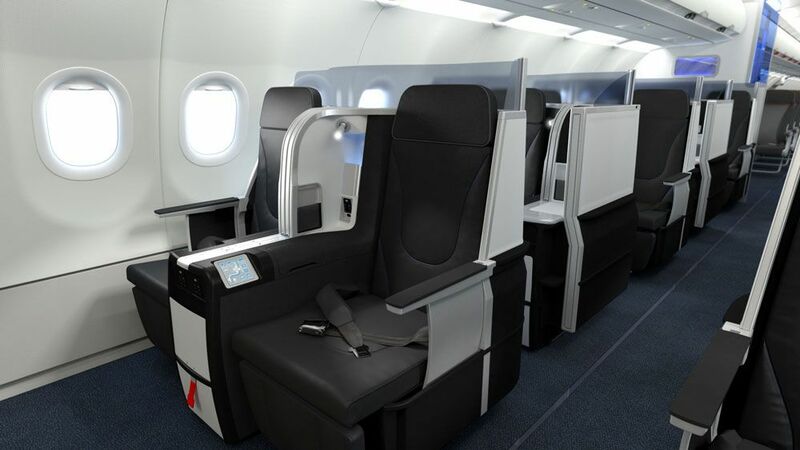 That seat is tipped to be Thompson Aero's Vantage Solo, with JetBlue taking honours as launch airline for the next generation of the original Vantage seat which adorns its current A320 Mint cabin (below) and helped JetBlue carve up the US transcontinental market. 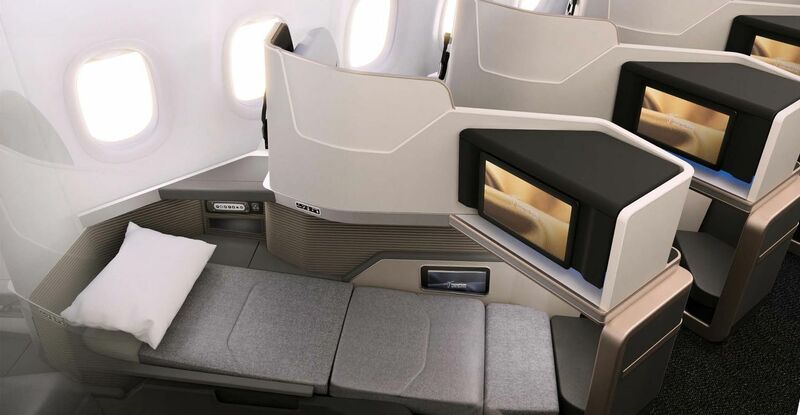 Irish seatmaker Thompson Aero created the Solo for the new wave of lie-flat business class on single-aisle Airbus and Boeing jets, and has since added an optional sliding door for to make this a ‘Solo Suite’. A layout shared by Thompson Aero shows how 16 of the business class suites could fit into the front cabin of a single-aisle jet. The Solo would be an ideal fit for business travellers shuttling back and forth between two of the world's greatest cities, with everything from HD video screens to ample storage space around the seat, with fast WiFi and suite-style privacy for tackling oft-sensitive work en route. 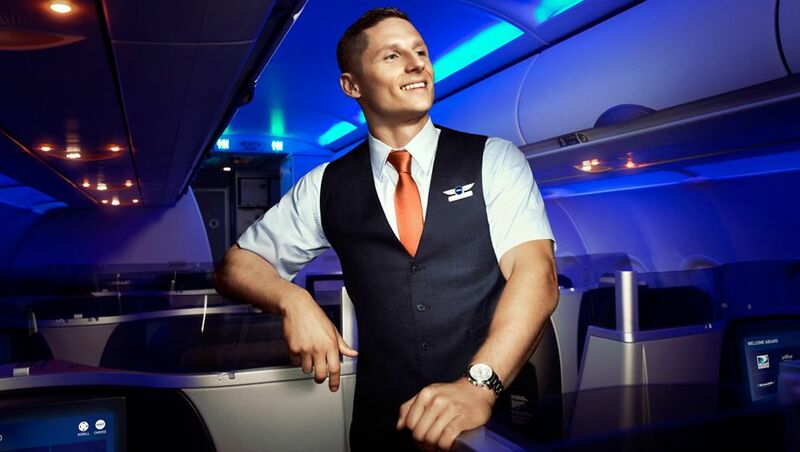 JetBlue’s European debut will pit the proudly 'disruptive' challenger against top-tier international airlines ranging from British Airways and Virgin Atlantic to US carriers American Airlines, Delta and United in an attempt to break their hold on highly-valued corporate flyers. "The success Mint has had on driving down the exorbitant airfares that our competitors were charging, stimulating new demand, and forcing the entrenched carriers to up their game, is a big reason we believe London is the next natural market for JetBlue," said JetBlue COO Joanna Geraghty. Mint is great and they have solid feed at JFK/BOS to make it work. Slap a sliding door on what is essentially an updated version of the aisle facing Virgin Atlantic/Air New Zealand J seat from 2003 and suddenly its groundbreaking? It's groundbreaking on a narrow body A321. Especially as they (Jetblue) can fit the same 16 pax in individual seats as they currently do today without losing any real estate in the cabin. I would agree with your comment to a point, but looking at these seats compared to Virgin Atlantics, I wouldn't just say that a door has been slapped on. 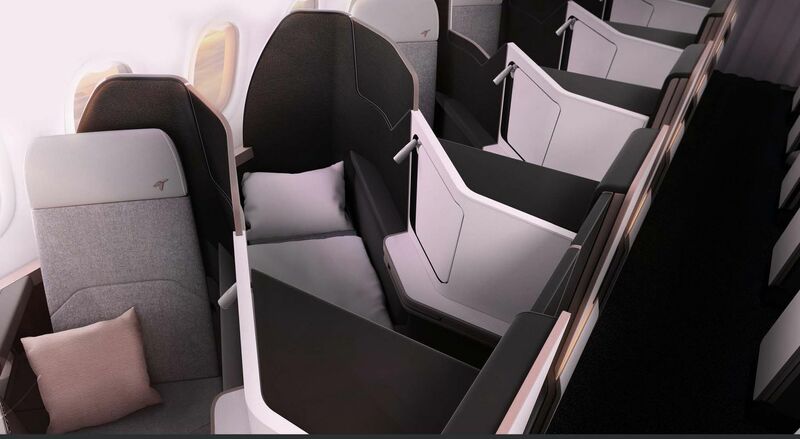 From the pictures there is a lot more storage / usable space in the seat and the end of the seat isn't exposed like Virgin Atlantic (meaning less chance of being bumped into). 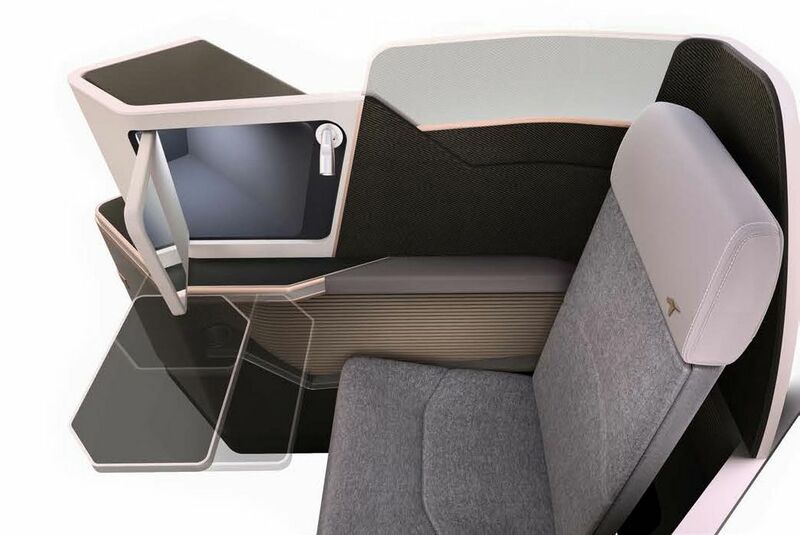 It looks to me more like a reversed version of the Cathay seat than just a Virgin Atlantic seat with a door. Why not have the back of the seat angled toward the aisle so you're facing the windows rather than having your back to them?? It adds privacy for sleeping and cuts down on the noise of passengers walking past. What is your source for this info? How do have the details and write so definitively before JetBlue has publicly released the details of their plan? JetWho, AusBT is usually pretty 'on the ball' with these things! That’s not the point. AUSBT is publishing materially significant information of a publicly traded airline’s plans hours before their official announcement. As likely as it is to be true, they should make it clear that this is speculation or make their source clear. The difference is that we aren't fake news. Brilliant layout...as GFC2 builds steam (Property in NYC and LAX down 25%)First Class is going to struggle with this product. The value for money equation which all corporates are now focusing on will deliver huge windfalls for JetBlue. Adding to some of the comments above, add to the mix good economics and hopefully a viable product, I wish them every success. Do we like paying eye-watering fares for a business suite on one of the ‘rusty’ legacy carriers W/B aircraft? This proposed J suite on an A321 is more than adequate, especially with the potential value factor. I like JetBlue’s model. Omitting a lacklustre lounge, with subpar food in their model doesn’t concern me much. I’m usually a leisure traveler so don’t need workspace, JetBlue works for me at the right price. Hell their economy is also not too bad with seat pitch. 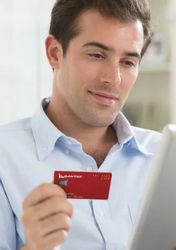 I recently priced a one way flight New York to London in business. Price came to $10000 AUD and a return much cheaper but still a crazy amount. Heaps of room for competition in this space. Right now I would only do this route with points, which works out pretty well, heaps of availability even as a QF Bronze pleb. Service from both JFK and BOS to LON has formally been announced today. I also would suggest, within 3-4 years, that FLL (Fort Lauderdale) would join the JetBlue Trans Atlantic map. However, what has not been released is where in LON (LHR, LGW or others) it will land. DL has just announced additional LON services into LGW (Gatwick) so for JetBlue this will get interesting. Whilst JetBlue will undercut the legacies on price and do well, the main issue that I see for Europeans visiting the USA is JetBlue's sparse coverage of the mid / mid west once they arrive in JFK or BOS. It has a great East Coast network and a respectable West Coast coverage but the middle of the country is covered sparsely, compared to the likes of AA, DL, UA and SW.
JetBlue has some very interesting partnerships with international carriers - I've wished for a while that JB / QF would at least sign an interline agreement. From NYC (JFK and LGA) their coverage of the East Coast is equally as good - if not better - than QF partner AA. Short hops to Florida, Washington DC, the Tri Cities (Columbus, Cincinnati and Cleveland), BOS etc don't always demand full J class and in coach, JB beats AA hands down on space, service and IFE. And the signature blue potato chips - you can't beat 'em. Out of LCY would be an interesting proposition. You're probably looking at a Mint A223 to do the job of that (needs to be certified). And even still, I do not think LCY can allow enough TOW to get to JFK/BOS non-stop. Maybe an A221 could do the job. Comment on "JetBlue to launch London flights from New York, Boston in 2021"